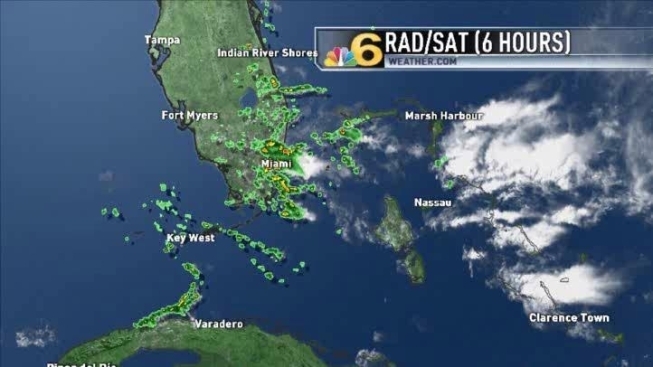 Heavy rain – over 3 inches in spots – and even a couple of thunderstorms left standing water in low spots and some roads across South Florida on Thursday. Fortunately, the showers are expected to diminish considerably Thursday night. And even though a lingering rain shower is still possible on Friday, the chance of rain is expected to decrease rapidly for the weekend. Saturday and Sunday we will spend under the influence of high pressure which will allow for partly sunny skies and pleasantly warm temperatures in the low 80s.